Hello Users, hope you are doing well. Today we talk about Xiaomi Mi A1 data restore process. If you buy a new Mi A1 mobile which is based on stock Android and now you want to copy or move your all old data from another Xiaomi mobile which is Redmi or Mi series. Then how you do all these tasks. Here we present an easy way where you move/transfer your all data from your old redmi phone to new Mi A1 mobile. Here normal MIUI backup & Restore won’t work for you. Because all Xiaomi devices run on MIUI except Mi A1. 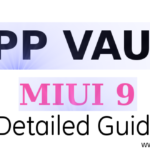 MIUI also based on Android but some modifications implemented by Xiaomi team on stock Android. So here MIUI backup won’t work for you. 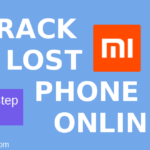 Another backup restore option – Mi Cloud, Also won’t work for you because Mi account services like Mi Cloud, Mi Message, Mi Notes etc all are available for only MIUI users. So Here Mi Cloud also won’t help you. Mi Drop is another option but this is also for MIUIers only. 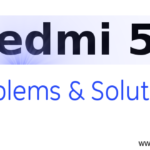 If you are using another Xiaomi mobile like Redmi 1s, Redmi 2, Redmi 3s, Redmi 3s Prime, Redmi 4i, Redmi 4, Redmi 5, Redmi Note 3, Redmi Note 4, Redmi Note 5, Mi 3, Mi 5, Mi6, Mi Mix2 etc now you buy Xiaomi Mi A1 mobile then you need to follow different procedure in order to transfer all your data like contact transfer, Photos transfer, Messages transfer, Notes transfer, Videos Transfer, other files transfer. Here we share a different way because here MIUI backup restore won’t working for you. 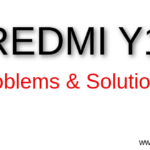 Here we need a third party app in order to transfer our phone data from old Redmi mobile to new Mi A1 mobile. 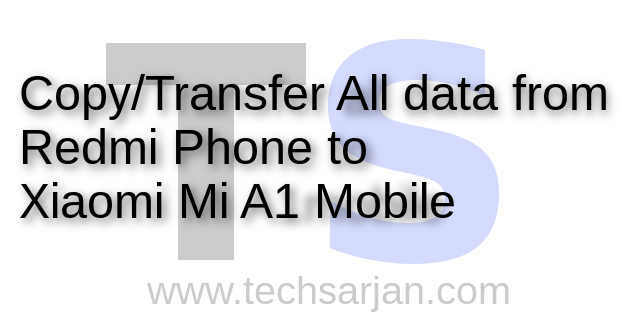 You can use any other third party app to transfer your data in Mi A1 mobile like Xender App, Shareit app or Xiaomi also launch a app called Mi Mover App. Go to Playstore and Download Xender App on both of the devices. Now launch the Xender on both of the devices and tap on menu icon on the old phone. 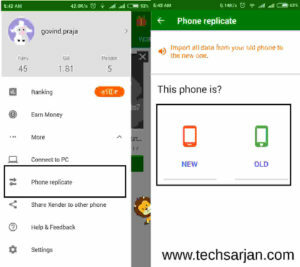 Now choose phone replicate option. 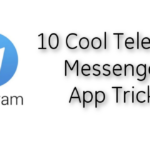 Here app asked for your phone is New or Old. Choose phone type and at the same time, you need to choose the option on another phone. Now app search phones and now connection established and your all phone data easily copied on your new Mi A1 mobile. Many other data transfer app available on Google Play store will work data transfer for you according to your need. So if you want to transfer your Redmi phone data on Xiaomi Mi A1 mobile then you can do this via the help of these apps. 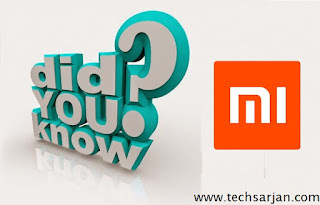 If you are thinking to transfer your data via the help of the Xiaomi Mi PC Suite, then please leave this idea. Because Xiaomi PX suite only works for those devices who runs on MIUI and over Mi A1 is not support Mi PC Suite as of now. So now you only have Mi Mover app option or you can try any other data transfer app which available on Google Play store.